In an interesting but not unexpected twist, it looks like Microsoft might allow Windows 8 to run all 70,000 Windows Phone 7 apps, and possibly all Windows Phone 8 apps as well. The rumor stems from I’m A WP7, an app that helpfully reports the version numbers of operating systems that run the app. As you can see in the image below, the first two entries are for Windows Phone 7, but at the bottom it reports that “Windows 8.0 Desktop” version 6.2.8283.0 also uses the app. The current public build of Windows 8, the Consumer Preview, is 6.2.8250.0 — a lower version number — so it would seem that Microsoft is trying out Windows Phone 7 apps on internal builds of Windows 8. At first I thought this might just be Windows Phone 7 apps running inside a Windows 8 development environment — a Visual Studio emulator or something — but the mention of “Jupiter” almost certainly blows that idea out the window. Though it hasn’t been confirmed by Microsoft, Jupiter is thought to be the codename of one of the core libraries that powers the new Metro-style Windows 8 apps. Metro apps can either be designed in HTML/CSS, or in XAML — and XAML is the same language used to create the user interface for Windows Phone 7 apps. This on its own isn’t a big surprise — XAML is a big part of many .NET technologies — but get this: The codename for Windows Phone 8 is Apollo, who in Greek mythology is the son of Zeus — and the Roman counterpart of Zeus is Jupiter! In short, Windows Phone 8 is the son of Windows 8, which tallies with previous rumors that WP8 would even use the Windows 8 kernel. Taking a quick gallop through ancient history might seem a bit obtuse, but back in reality this is a no-brainer for Microsoft. Windows Phone 7 apps are just Silverlight apps, and Windows Phone 8 apps will almost certainly be XAML-based Metro apps. 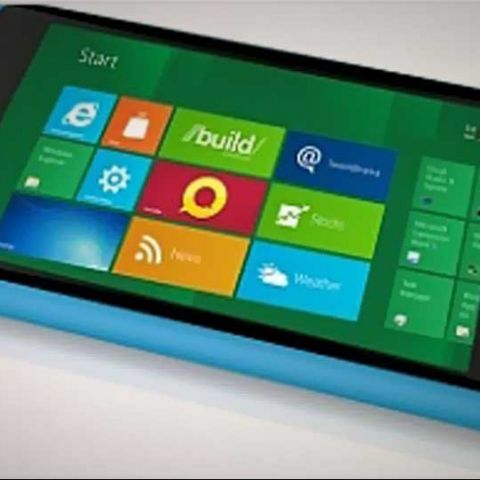 Microsoft has already said that WP7 and WP8 apps would work on Windows 8 with only a few changes to the code — but really, there’s no technical limitation that would prevent Microsoft from providing a framework that can run WP7 and WP8 apps as-is in Windows 8. There are practical concerns, however. For a start, Windows Phone 7 apps are designed for low-res (800×480) portrait displays, while Windows 8 will generally be used in landscape orientation and at much higher resolutions. Thanks to the Metro style’s reliance on geometric shapes and typography, scaling itself probably won’t be an issue, but I foresee a lot of apps that hug the left and make very little use of the rest of the screen. The Windows Phone and Windows 8 app stores are obviously quite different as well — the approval processes are completely different, for a start — but this isn’t an insurmountable issue.